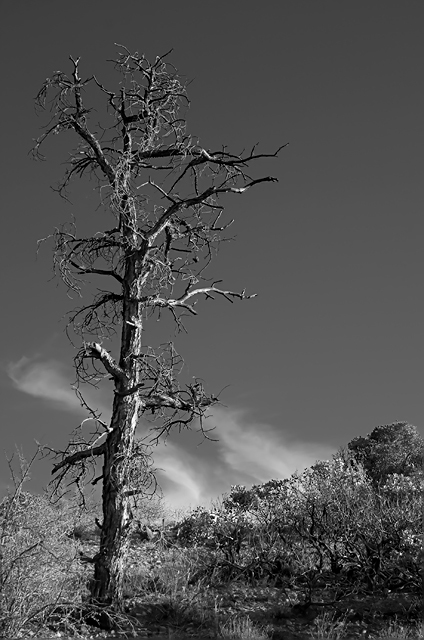 As the title suggests, taken in Sedona, AZ. No gratuitus B&W here. That works! Nice find, love those branches. Beautiful 'F/64' landscape. Love the sky and the tonal range, and the way the diagonal leads you down to the tree. However, the complex grayscale on the neutral sky speaks to me more about textures than shapes, therefore I have to score this down for the topic. Not your normal shape but I like nature and the variety and uniqueness. BW seems very natural for this. Proudly hosted by Sargasso Networks. Current Server Time: 04/24/2019 09:50:16 AM EDT.